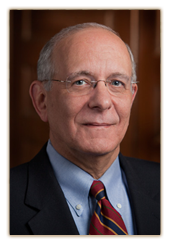 Jeffrey J. Mawicke |Mawicke & Goisman, S.C.
Jeff has been practicing law in Milwaukee, Wisconsin since 1973. After two years with a small business law firm, he decided to form his own firm. Since then, the firm has grown to include 20 professionals focusing on the needs of the entrepreneurial business community. While our politicians continue to attempt to bury us with new legislation under the guise of governmental protection of our rights and freedoms, Jeff believes that simplicity and common sense go a long way in guiding the entrepreneurial business community through the legal maze that currently exists. If you would like a chance to have twice the fun at half the price, call us and be introduced to a method of practicing law that the “current wisdom” of our time has declared extinct. Jeff’s emphasis is on real estate development, mergers & acquisitions, and the structuring of legal entities. He has closed tens of millions of dollars of real estate and business deals during his career including the General Electric Medical Systems Education Center in Pewaukee, Wisconsin, the purchase of Swiss Combi Technologies, AG in Zurich, Switzerland and later sale of the same in London, England and the sale of an international education company with offices in the US, Japan, Canada and the United Kingdom to a private equity firm. I was told that other firms listen to the deal that is being proposed, spend an inordinate amount of time thinking of each and every possible way that the deal can go wrong, and then draft proposed solutions to the supposed problems. Very inefficient. Rated AV® by Martindale-Hubbell (since 2000), indicating very high to preeminent legal ability and very high ethical standards based on evaluations by peers in the legal profession. I am married with two adult children. I enjoy reading and am an amateur historian/philosopher. I enjoy the outdoors while golfing, fishing, and hunting.